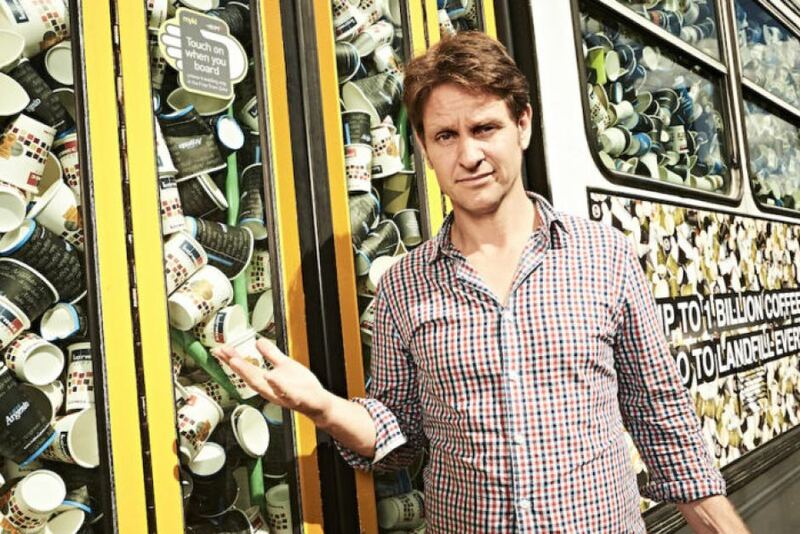 Craig Reucassel from the ABC’s War on Waste demonstrates how Australians throw out a tram full of coffee cups every half hour. Photo: ABC. Those who live in or love visiting the Eurobodalla are being asked to “skip the straw” ahead of the second series of the ABC’s War on Waste. In series one, the wit and wisdom presented by Craig Reucassel managed to see single-use plastic bags banned from supermarkets. When the second series returns to our screens on July 24, Craig explores our reliance on other single-use plastic items like plastic bottles and straws, paying particular attention to the damage done to our waterways and marine life. Eurobodalla Shire Council’s Waste Minimisation Officer, Adam Patyus is adding a local voice. “Replacing single-use shopping and produce bags with reusable ones was a no-brainer, with numerous outlets now supplying or selling a variety of reusable bags,” he says. The big four single-use items that produce the most plastic waste are bags, straws, disposable cups and water bottles, “And they are also among the easiest to avoid,” Mr Patyus says. “Plastics straws are largely unnecessary and extremely hazardous to land and aquatic fauna. They are often handed out in restaurants and fast food outlets whether you’ve requested one or not. If you do need a straw Mr Patyus suggests more sustainable reusable options like straws made of aluminium or bamboo. Shane and Louisa Duffy took advantage of Council’s recent Shopping Trolley Challenge in Moruya, where residents were encouraged to embrace reusables and reduce their waste. They are pictured with Council’s Waste Minimisation Officer Adam Patyus. Photo: Supplied. Taking your own mug or investing in a reusable coffee cup for your next caffeine or hot chocolate hit is also part of Council’s advice and was a central theme to round one of the TV War on Waste. “Many cafes offer discounts for customers who bring their own cup or mug so initial upfront costs are repaid in no time,” Mr Patyus says. It’s a similar message with bottled water. “Bottled water is generally very expensive with most of the cost being for the packaging and branding and not the contents,” he says. 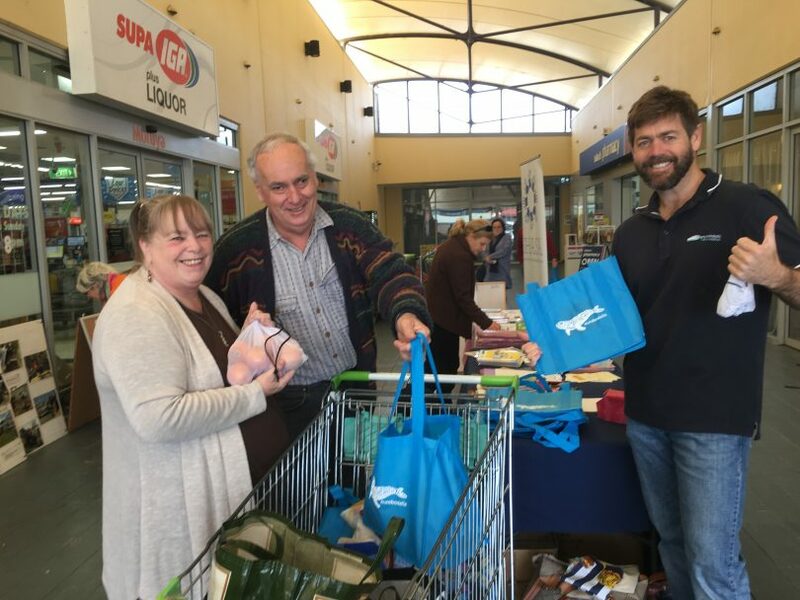 Moruya’s business community has answered the battle cry with the launch of a campaign to reduce the use of single-use plastic bags throughout the town, beyond what has already been implemented by the big supermarkets. “Moruya is a caring, environmentally aware community and our businesses reflect those values,” Business Chamber President Jude Manahan says. To kickstart the project a community education campaign has just begun, with Council funding banners around the town and Southern Phone printing and delivering an educational flyer to all homes in the 2537 postcode. Members of the Moruya Business Chamber have also consulted all businesses in the town known to currently provide plastic bags to customers. “There is overwhelming support in our business community for this project that has obvious benefits for our environment,” Ms Manahan says. 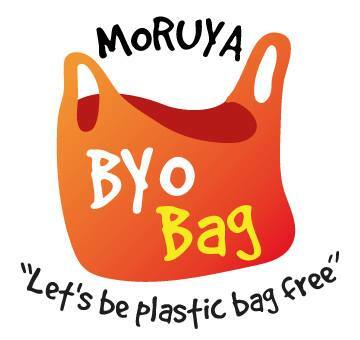 Moruya Business Chamber has started a campaign to rid the town of single-use plastic bags. Photo: Moruya Business Chamber website. By avoiding single-use plastic items, Mr Patyas says you’ll be helping to keep a considerable amount of plastic out of landfill and out of the Eurobodalla’s stunning marine environment. For more information on the Eurobodalla’s war on waste, check the shire’s Household Waste and Recycling Guide.